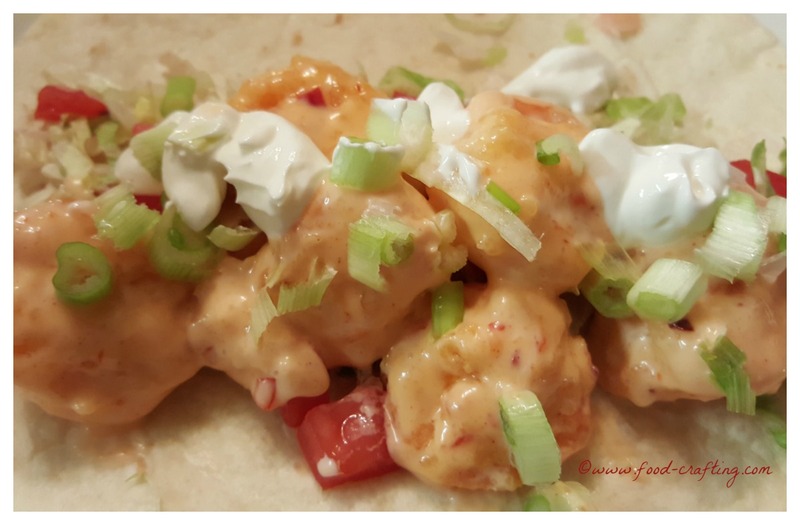 Copycat Bang Bang Shrimp Taco: Summers with Grandma include preparing copycat dishes from favorite restaurants or simply learning how to make their favorite dinner selections. Both grandsons are interested in cooking – even more so after taking the FACS program “Chef” Club at school during the past two years. They prepared menus selections with the school cafeteria chefs. At the end of the semester, parents were invited to sample a complete menu prepare by the students. Now, they often cook at home! In a hurry? ==> Run to the Bonefish Grill ® for lunch or dinner or check our shrimp recipes and this roundup of Bonefish Grill® copycat recipes. Recipe Testing: A New Category! I know…this recipe does not fit squarely into French or Pennsylvania Dutch cuisines. Not at all related. But it’s homestyle cooking “à la mode de chez nous”. How about we categorize it as “Recipe Testing”? We’ve been running our own test kitchen for years. Homestyle “restaurant” cooking. For weeks, they’ve been excitedly waiting for Grandma to prepare copycat Bang Bang Shrimp Tacos for lunch. The Woodbridge, Virginia Bonefish Grill® was a favorite destination of ours since they opened their doors. We had memorable birthday celebrations there. Those doors closed last year and now we have to trek rather far afield to eat at the next nearest restaurant. So…this summer, we set about to replicate some memorable dinners. The Bang Bang® shrimp appetizer sits at top of the list but just below that are the shrimp tacos! 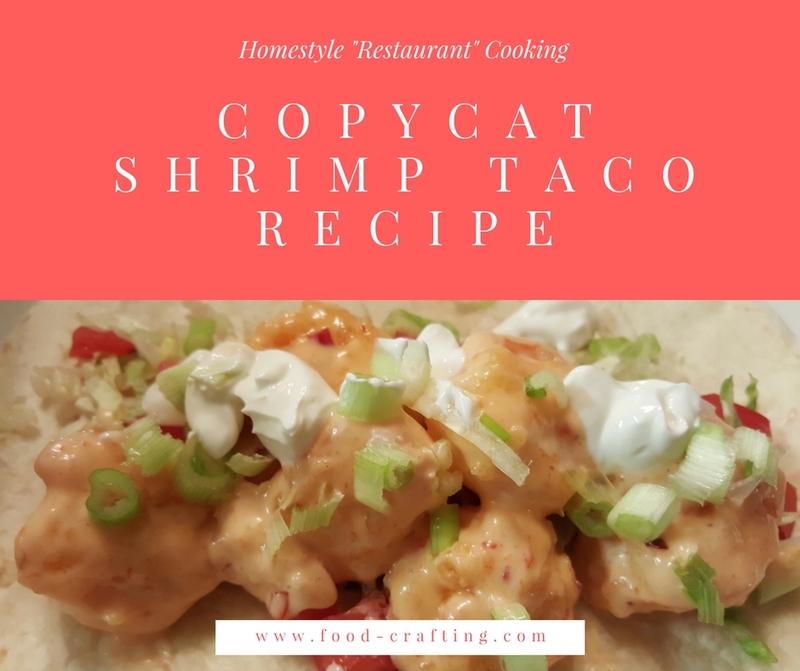 There are plenty of copycat versions for the appetizer but this is my version of the taco! Grandma’s Bang Bang Shrimp Tacos tasted almost exactly like the tacos in the restaurant. The slight changes we made to the sauce made it near perfect. The hot sauce increased the spicy level of the shrimp which was already spicy (but we like spicy!). When I tasted the shrimp taco it instantly reminded me of the Bonefish Grill®! I always order the Bang Bang© shrimp appetizer but putting the same kind of shrimps into a taco makes it an entrée or (if you eat more than one) a full meal. If you want an easy and delicious seafood lunch, I definitely recommend trying this recipe. It will blow you away. 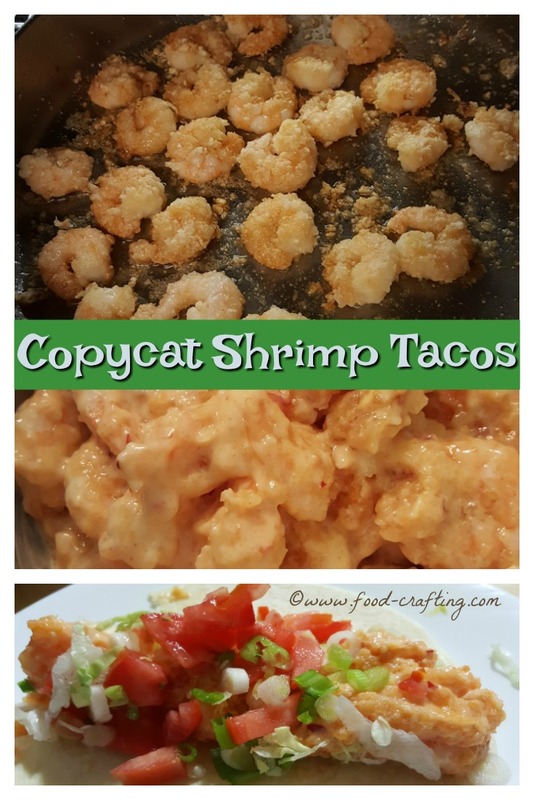 So…what does Grandma think of this copycat Bang Bang shrimp taco experiment? I’ve always wanted to taste a shrimp taco and this is a tasty first try. Compared to chili-lime shrimp or a regular grilled shrimp, the spicy mayo based sauce results in a very rich filling. One cannot complain about it being a dry taco. Grandma added sour cream as a topping for the second batch of shrimp. In my opinion, the addition of sour cream is somewhat over the top and not necessary. It does provide a nice color contrast to the plated food but I could barely taste the sour cream in the spicy hot sauce. Sour cream is a nice cool foil for a highly seasoned ground beef mixture or plain shrimp – even with the same combination of traditional taco toppings. To address one of G’s critiques (“they serve the three tacos in a holder“), I served these with soft flour tortillas. No holder – could not find it. It turned to be more like a help yourself salad bar. For the sake of presentation, hard shells are a good idea but I can see where the holder would support soft tortillas while the taco is being “assembled”. I think it’s nice to be able to tuck in one end to prevent all the sauce from escaping! Update: Typical! I found the taco holders two days after we needed them. Such is life. Another Way To Spice Up The Sauce! Ever prepared any food with Peri Peri seasoning and spices? Wicked hot! It could easily replace the Thai chili sauce for a powerful punch of flavor. Be sure to read the labels on the small bottles of Peri Peri sauce. Sure fooled me when I used it to season chicken thighs! Just like in the restaurant! Spicy and tangy shrimp served on a bed of shredded lettuce. Serve hot and watch them disappear. Serve in a soft taco for a sizzling lunch. Yum! Dash of “Gourmet Collection” McCormick’s smoked paprika (for color) or a dash of McCormick’s Ground cayenne red pepper for added “heat” and color – if needed. About 1/2 cup of Duke’s® mayonnaise (contains no sugar). The amount of sauce mixture you prepare depends entirely on the amount of shrimp you have. Adjust all sauce ingredients accordingly. In a medium bowl, add the Duke’s® mayo, the chili sauce, the hot sauce, the paprika and a dash of red pepper flakes. Set aside the sauce while you prepare the shrimp. In a gallon size zipper bag, add the cornstarch and Sriracha salt. Shake to combine evenly. Put the raw shrimp in the bag and toss to coat evenly. Spread the bag flat on the counter top and press the coating lightly in to the shrimp. Turn and repeat the process until nearly all the cornstarch mixture is gone. Open the bag as it lays flat and allow the shrimp to air dry for about 15 to 20 minutes. Preheat a large frying pan over medium high heat. Add the oil. Heat until a drop of water sizzles when dropped in the oil. While frying the shrimp, be sure to cover the open pan with a splatter shield. Carefully place the coated shrimp in the hot oil and fry until golden on one side. Turn the shrimp over with long handled tongs to brown the other side. Once cooked to a golden brown, remove from the hot oil and drain on a paper towel to absorb excess oil. Transfer the shrimp to the mayonnaise sauce and toss to coat evenly. Serve immediately. Caution! To several members of our family, there is never enough “heat” to certain foods. I added the Sriracha salt to the mayo to season the sauce. The crushed red pepper flakes and hot sauce add *extra* layers of heat to be adjusted to taste. According to the boys, those little red flecks are part of the total “look” but I can guarantee that they do add spicy heat to the recipe. 1 Recipe Testing: A New Category! 3 Our Copycat Version Rocks! 3.1 Another Way To Spice Up The Sauce! 5 We Sea Food Differently! Surprise Your Guests:	Chicken Taco Shells & Ice Cream Nachos!